I’ve been privileged to have experienced Christmas in many different countries around the globe and can honestly say I have no preference between a summer Christmas with a BBQ around a swimming pool or a winter Christmas with snow and an open fire. They both paint a wonderful picture on the surface with the reality having both pros and cons. In short, bah humbug! 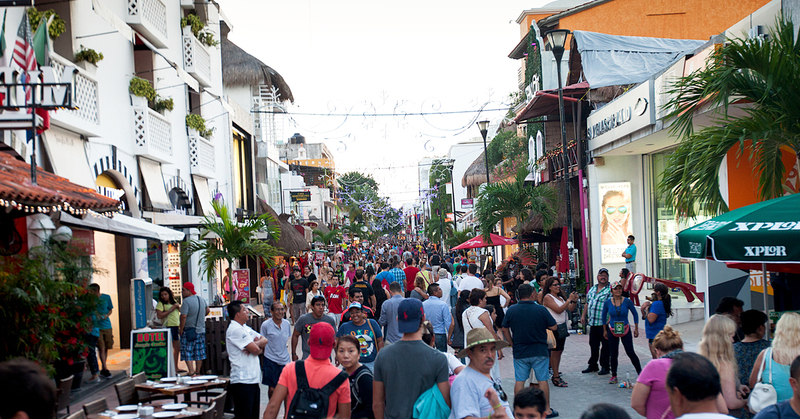 Not knowing many people, having a student budget and lacking motivation, this year in Playa Del Carmen Christmas was looking like a none event for us. That was until one of our fellow diving students, Ricky, invited us to his place on the 24th for an Italian Christmas dinner. Actually, several people ended up inviting us to dinner. The people around us are just incredibly welcoming and giving! 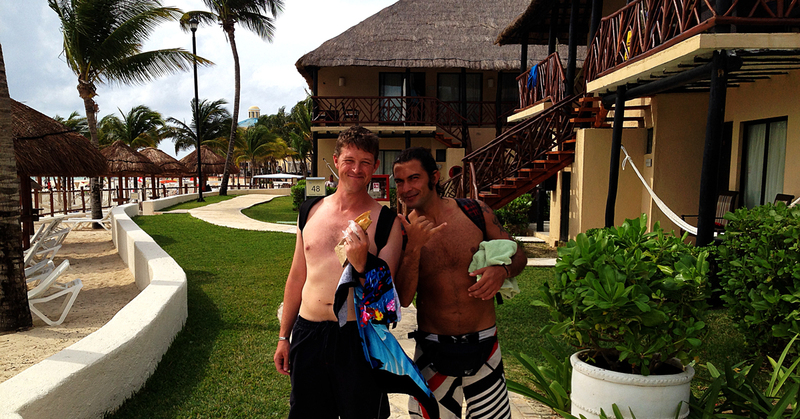 Ricky lives with Marco, a very cool diving instructor and Max, the most helpful and welcoming man in Playa who knows everyone! They’re basically a house full of awesome Italians. Arriving unfashionably early at 9pm, we were welcomed in by Max’s parents, ushered out to the bar by the pool and handed a beer. As the night progressed we were treated to large quantities of lasagna, aubergine parmigiana (I think that’s what it’s called) and other amazing home made Italian dishes (thanks to Marco’s Mum!). The panettone, pandoro and coffee rounded off a night consisting of several toasts of tequila washed down with margaritas and interspersed with beers. Moral of the story. If you’re ever invited to Christmas by an Italian, say yes please immediately! We were fairly well behaved on the tequila and margarita side of things as we had this great idea that we might get to go diving with Bull Sharks on Christmas day. Turns out most of Playa had the same idea and the dive boats were too full for us to join the party. Who knew Christmas day was when everyone in Playa wanted to go diving?!?! Plan B! 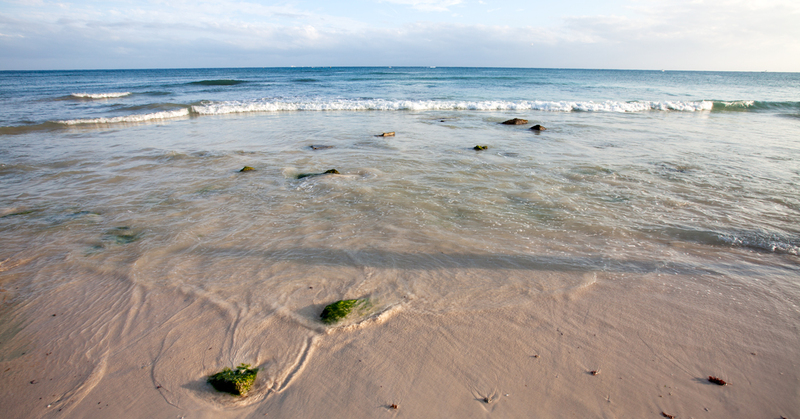 We took to the streets to explore more of Playa… Turns out, those that weren’t diving were also exploring Playa! With our sanity restored we headed to Mamita’s Beach to walk off the amazing peanut butter cookies. A little stroll north and we discovered a small slice of serenity. A pleasant break from the masses of people everywhere. With our legs giving in from a hard days exploring we decided to head home for cervezas and chorizo. As usual, despite my best attempt at imitating Ebenezer Scrooge and although some fairly important people in my life were missing, I thoroughly enjoyed my first Christmas in Mexico. Yeah it’s called (or at least I also know it as) parmigiana. My GF’s Mother (Italian) is doing it whenever we come to Sardinia and I quiet like it, even thought I don’t like aubergine at all ! Ha ! Around Eastern you should go for a Colomba (Pasquale), its quiet similar to a Panettone. Keep the Pictures and Videos coming ! Chocolate with nougat inside? I HAVE to try that one some time!